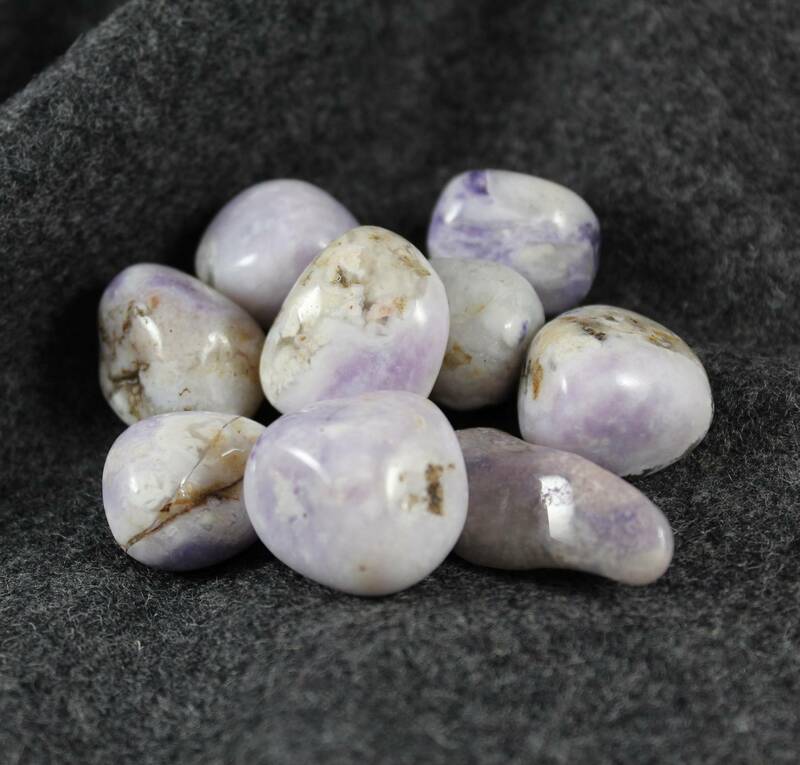 Medium sized pieces of tumbled Tanzanite, measuring 20 to 30MM approximately. Medium sized Wyoming Prairie Tanzanite tumblestones, measuring 20 to 30MM approximately. These pieces are Prairie Tanzanite from Wyoming, USA. These stones are, of course, not an excellent grade of the stone! 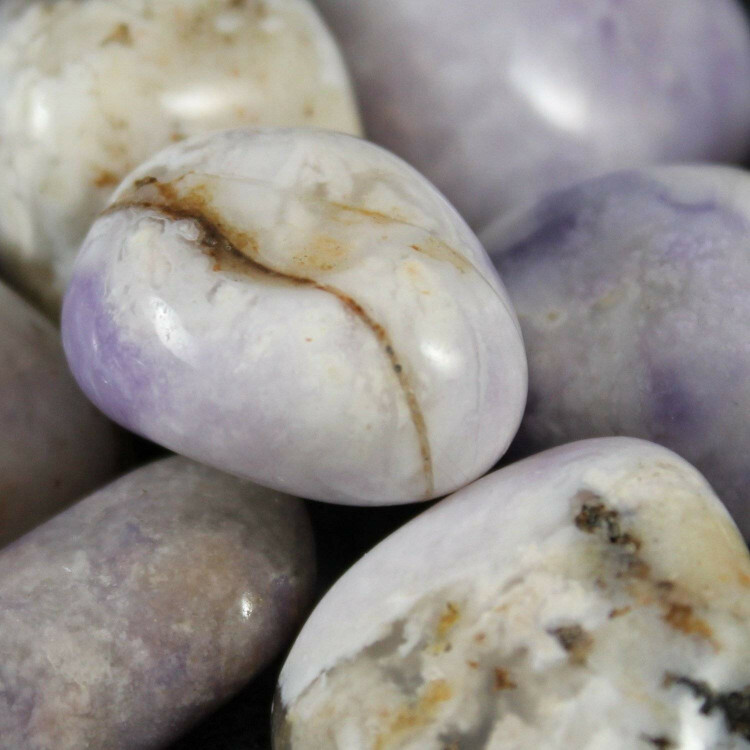 They are a mix of whites, pinks, and purples, with brown and black inclusions. 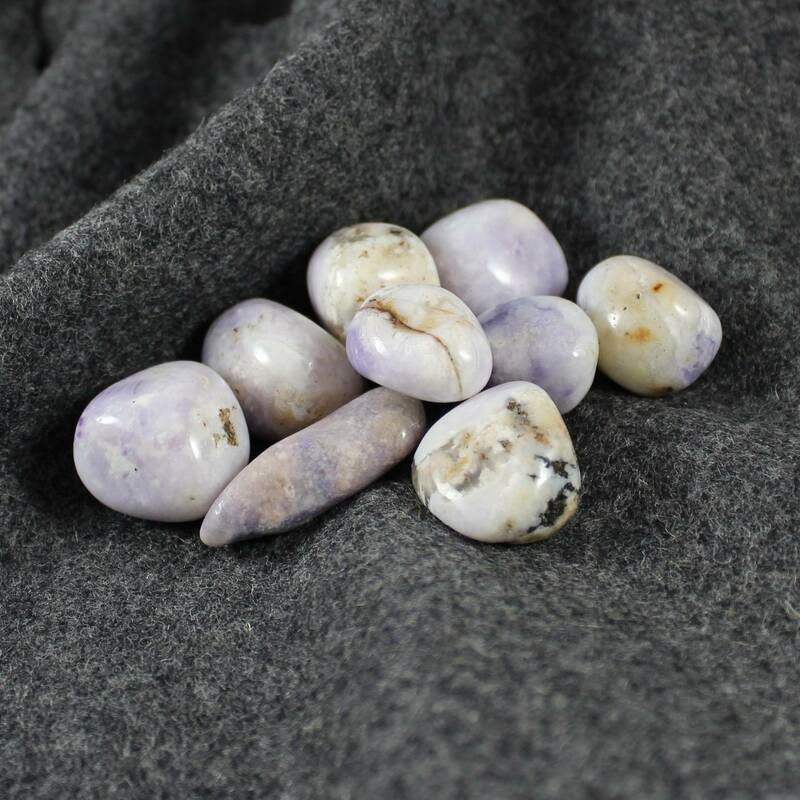 Because they are fairly pale stones, they do contrast nicely with darker pieces – they also look great displayed in wooden bowls. 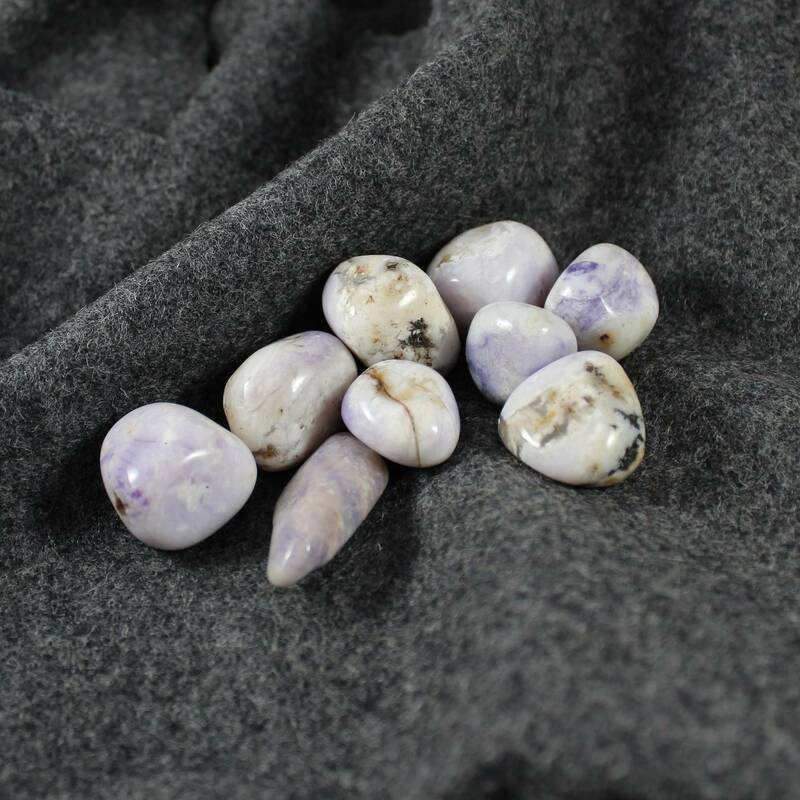 As these are fairly expensive stones, and we do not have a reliable supply, we sell these pieces singly and do not offer packet discounts. For more information about Tanzanite, and a list of any other products we sell, please check our main Tanzanite page.